Crystal River Cruises is a division of luxury line Crystal Cruises, which was sold to parent company Genting Hong Kong in early 2015. In addition to its ocean and river cruises, Crystal offers yacht cruises and is growing a luxury land-based vacation arm, complete with a private airline. 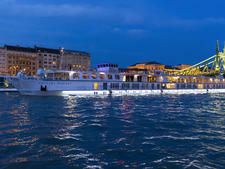 The river line launched in July 2016 with its first ship, Crystal Mozart; the refurbished vessel is the largest river cruise ship on the Danube. Four brand-new riverboats have joined the fleet since then, two in 2017 and two in 2018. All are named for composers: Crystal Bach, Crystal Mahler, Crystal Ravel and Crystal Debussy. Crystal Cruises has branched out by bringing its exceptional dining, enrichment, service and sense of high-class style to Europe's rivers. Onboard its ships, Crystal River Cruises offers amenities not usually found on river vessels, including king-size beds, walk-in closets, an indoor swimming pool and a host of equipment -- kayaks, electric bicycles, personal watercrafts -- for passengers to use while in port, free of charge. During the day, the line will offer culturally immersive shore excursions. The boats will sometimes spend overnights in port, allowing passengers to dine at Michelin-starred restaurants on land for an optional fee or do evening excursions. Crystal River Cruises' passengers are older, well-heeled folks who have both the time and the means to travel in luxury. Crystal Mozart: The line's first ship, the one-time MS Mozart, was completely overhauled and renamed before beginning its sailings on the Danube in summer 2016. 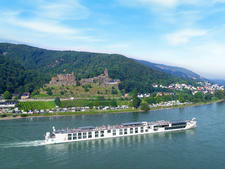 At double the width of most other riverboats, Crystal Mozart is presently the largest afloat on Europe's rivers. The ship carries 160 passengers in suites ranging from 203 to 860 square feet. Also setting it apart from its river brethren are multiple restaurants, an indoor pool and other amenities not typically found on riverboats. 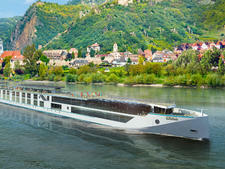 Crystal Bach, Crystal Mahler, Crystal Ravel and Crystal Debussy: Sailing the Rhine, Main and Danube rivers, these four vessels carry 110 passengers. All four of the line's new-builds offer suites ranging from 220 to 750 square feet, each featuring a walk-in closet, large bathroom and first-in-industry king bed. Passengers will also find a spa, gym, library and Palm Court atrium area (complete with dance floor) on each ship. Multiple restaurants promote a la minute cooking, luxury ingredients and outstanding presentation, as well as a sophisticated wine list.